The winter is upon us. The Survivors are in chaos. The war is coming. One year ago, Sadie Matthau was living among humans, existing as one of them. But now she wakes each morning in a house in the Survivors City, listening to the invocations and insults of her family members as they cope with their new future. A war. Rogue abandoners turned monsters. Sadie and the icy Winters living in their midst, bringing the outside world in. 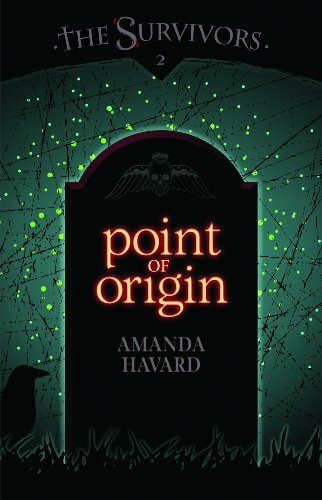 The Survivors: Point of Origin is Sadie s quest to save her family. But can she find what she is looking for when she can barely stomach the Winters wintry demeanor and finds herself distracted by Cole Hardwick s warm heart? Will she be able to uncover her family s history even as the elders grip tightens around her throat? In an action packed ride full of magic and misery, terror and triumph, Sadie Matthau seeks the Survivors beginning just in time to face her end.